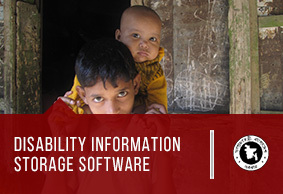 As a part of UNICEF’s effort to identify and introduce economic support to the disabled population, the DISS solution has been integrated which involves an android based mobile software application for tracking and building up of a management information system in creating a unified database for monitoring and storing the necessary information of the disabled population. 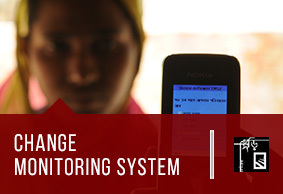 The CMS2 deployed smartphone enabled monitoring tool which allows field surveyors to instantly collect data from the field sites and send it over to a central server for upper management for investigable insights of the households under scrutiny . 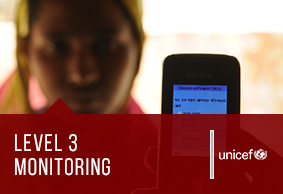 The mobile based monitoring system implemented for monitoring WASH facilities across 30 schools in the intervention area focused on collecting data from school children pertaining to their opinion on the water and sanitation scenario in their school to monitor and strategize policy interventions. 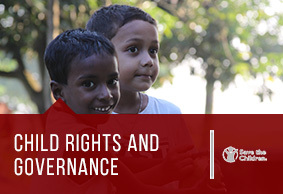 The L3M system has been implemented by UNICEF to track and report on effective coverage of basic social services based on five macro and socio economic indicators. This system entailed the use smart phone based survey to address and assess the overall scenario pertaining to social service availability to the mass population.